He quickly learned your nervous system controls every cell, tissue, and organ in your body. When your nervous functions properly, your body remains strong and healthy. When your nervous system does not function properly, your body fails to adapt and sickness and dysfunction occur. This simple revelation lead him to become a chiropractor. Dr. Justin earned his Bachelor of Science from McMaster University in Hamilton, Ontario and his Doctor of Chiropractic from Logan College of Chiropractic in St. Louis, Missouri. 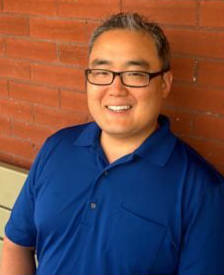 Dr. Justin practices as part of the Nature’s Vibe team of health care practitioners. This gives him the ability to share the expertise and resources of other health care practitioners and ensures his patients get the best care. He lives in scenic Dundas, Ontario with his partner Wanda. They love taking their son Carter for long walks through the charming downtown and through the lush green spaces throughout Dundas. I look forward to helping you live well. Give our office a call or send me an email. You can follow me on Twitter @drjustinca and Facebook.